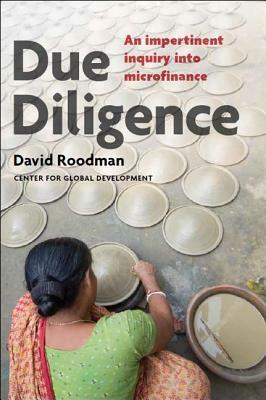 This is the book to read about microfinance, specifically microcredit.Roodman is a fantastic journalist and a delightful writer. The book is exactly what I want in that 'one,' definitive book about a subject: thoroughly documented, broad but focused within each topic, well-organized and indexed for reference, and nuanced. Really, complexly, and carefully nuanced. He makes no claim in the book that is not stated exactly as he means, no broader nor more narrow. And that is what you need in what is in effect a gutting of a bloated, predatory industry, which nevertheless encompasses many well-crafted projects that directly and materially benefit people who need and expressly want the services. The author believes in capitalism, so don't expect much of a critique on the structural nature of credit, debt, and linking people's livelihoods to foreign capital markets here. In fact, the main positive conclusion Roodman makes, after eviscerating microcredit's claims to reduce poverty and empower clients, is that at least the microfinance industry is successful at expanding the microfinance industry, replete with finance-related job growth and capital investment. Umm...? But because what Roodman is doing is reporting on the impact of free market capitalism as applied to profit off the poorest people in the world, a structural critique can be made based on his findings even if the author himself is much too conservative with his conclusions to do so. Respect.Above and beyond all this, Roodman throws in so many ridiculously beautiful turns of phrase that I put the book down in disbelief several times to read the artful wording to whoever was sitting next to me. Uncommon in a book about finance and maybe an author having just a bit too much fun for this kind of work. Roodman wrote a readable book that is masterfully constructed and organized, and on top of that he put the entire text online free, and crowd-sourced edits on his blog as he wrote drafts. Edward Abbey is the first source in the extensive bibliography. He quotes Herman Daly to critique unlimited growth. Every analogy in the book is drawn from ecology. Hell yes. Very good and honest effort to scrutinize one of the hot topics in development. Conclusions are reasonable, and based on the view that the glass is half full. The book provides an interesting historical perspective of financial services to the lower income classes. Well-researched investigation of the impact microfinance has had on the world's poor. In short, Roodman concludes that funneling more foreign capital into microcredit endeavors at present is apt to fuel entrapment in debt rather than reduce poverty. The book's analysis is nuanced, though, and it is worth reading in full as Roodman deeply explores many dimensions of the topic.